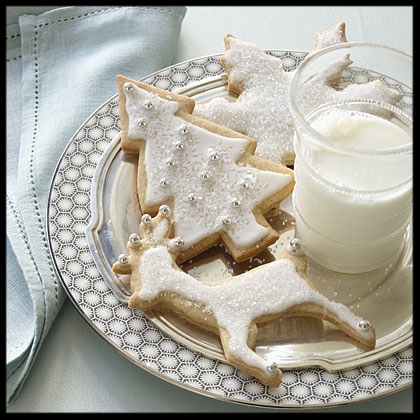 Christmas is just around the corner, and Santa Claus is on his way! 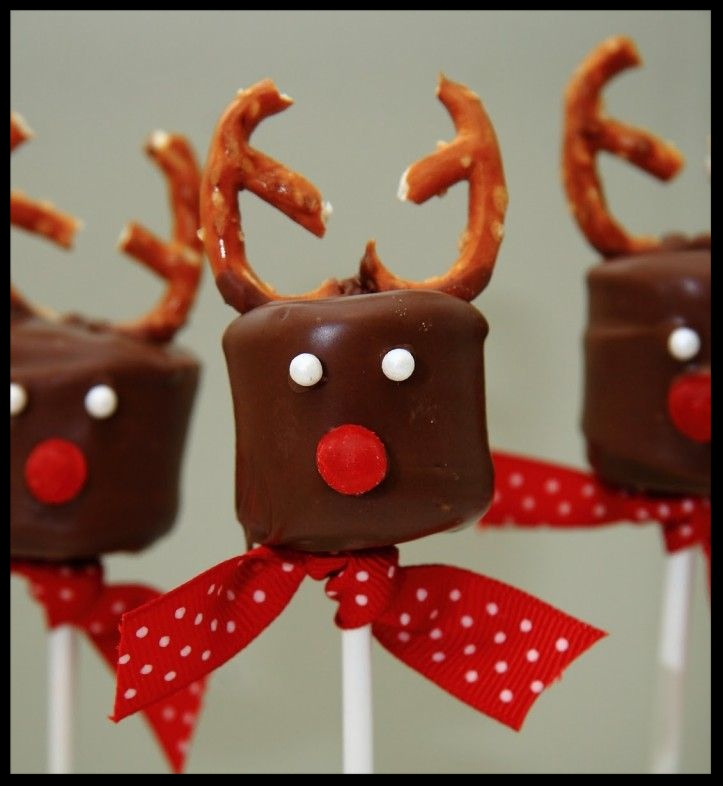 Get into the spirit of the season with these fabulous festive food ideas for a Christmas school lunchbox…..
1. 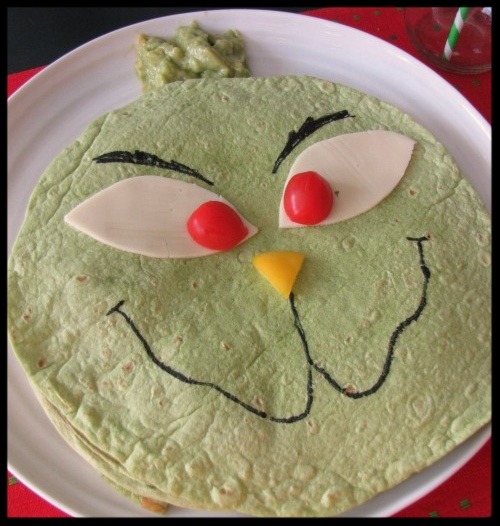 What better way to get your kids to eat healthy sandwiches than decorating them as a christmas motif? 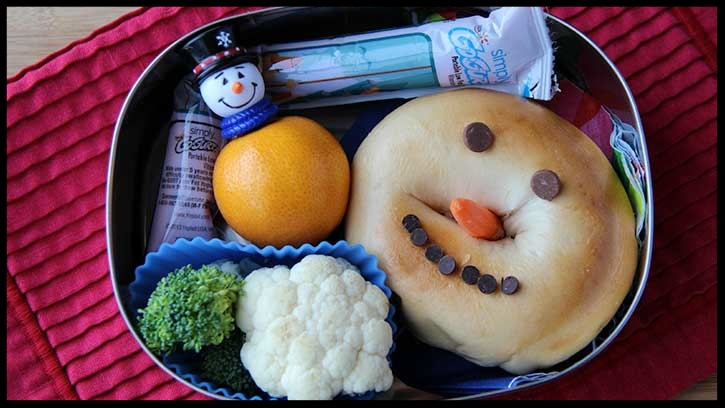 We love this snowman bagel, which is super easy to make – all you need is a small carrot for the nose and chocolate chips for the eyes and mouth! 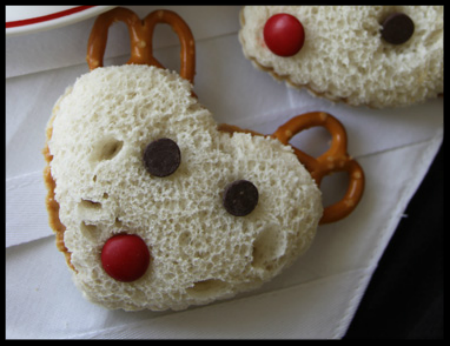 2.….or use a heart-shaped cookie cutter to make this cute reindeer sandwich – just add a couple of pretzels, some chocolate chips and a red Smartie! 3. 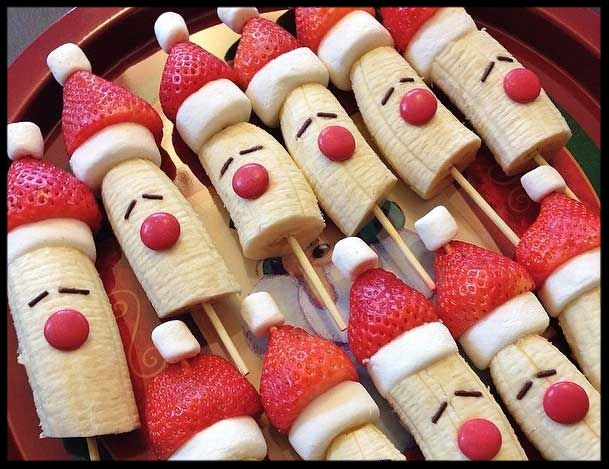 Santa Claus – To incorporate the festive theme your child’s whole lunchbox, why not go all out and create a complete Christmassy meal?! 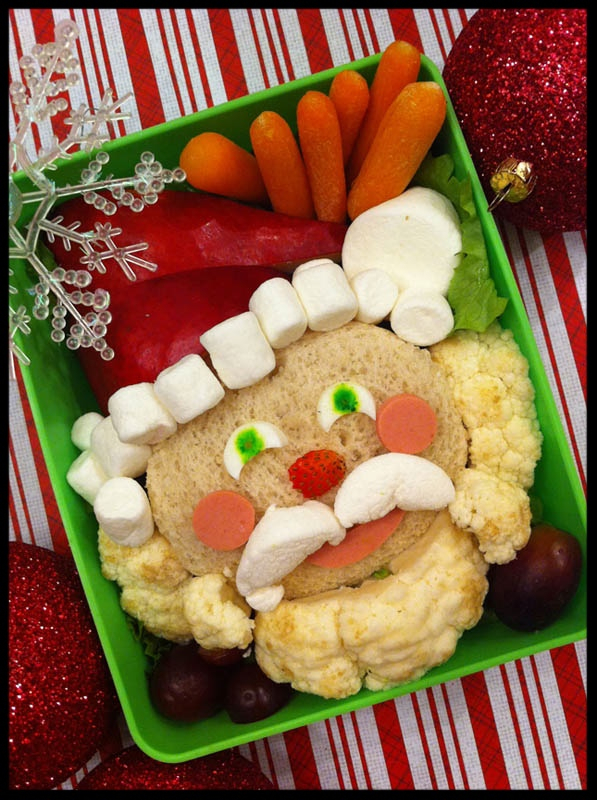 Created from a sandwich, cauliflower, grapes, carrots, strawberries, marshmallows and melon. 4. 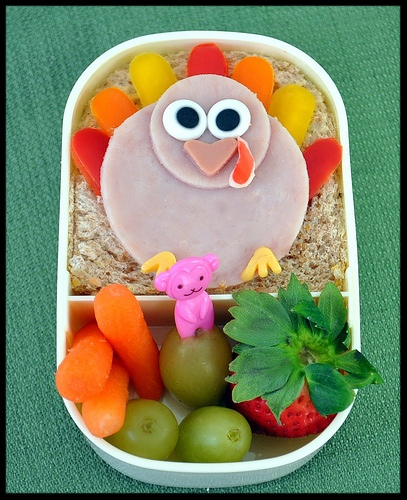 The Turkey Bento – all you need is a sandwich, ham and some peppers! 5. 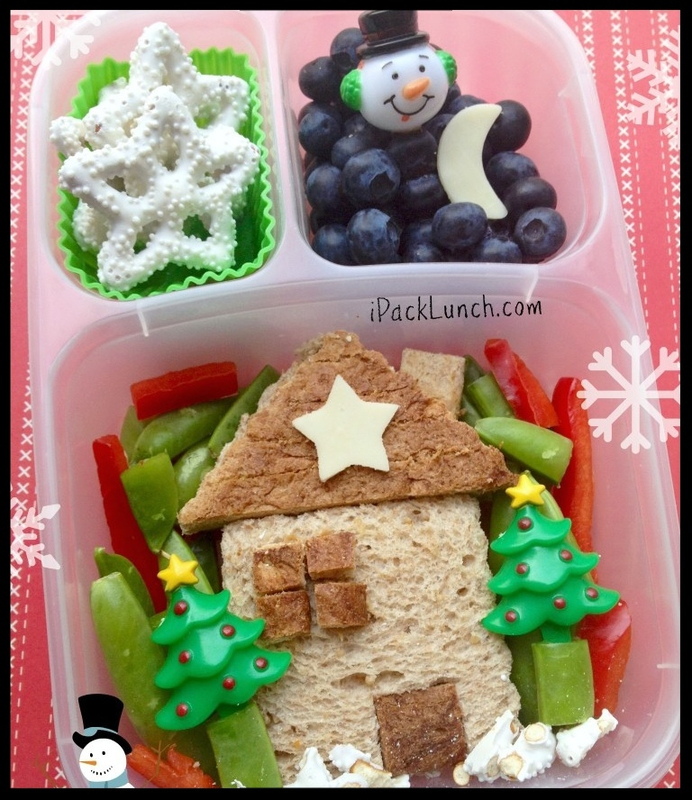 This christmas bento is complete with snowman, snowflakes and a christmassy sandwich house – simple yet very effective! 6. 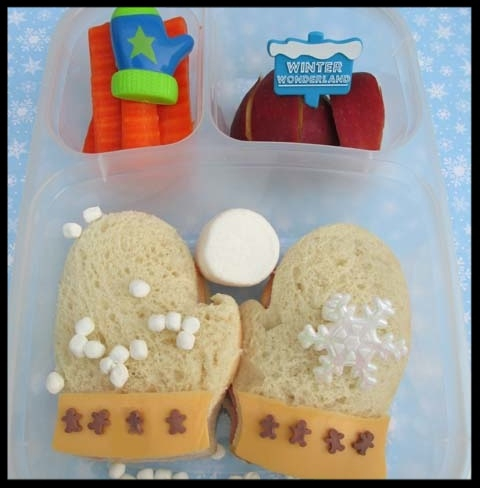 Okay, so we cheated a little here and used non-edible accessories to make this box christmassy, but mitten-shaped sandwiches makes up for it! 7. 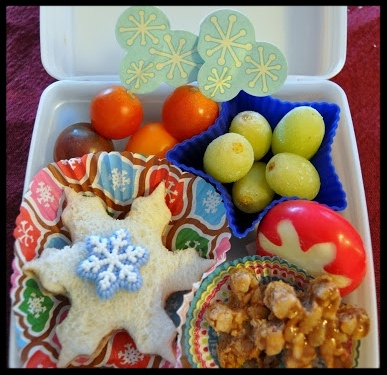 This snowflake themed box is also a great example of how a few simple changes to a traditional lunchbox can make a healthy meal more festive! 8. 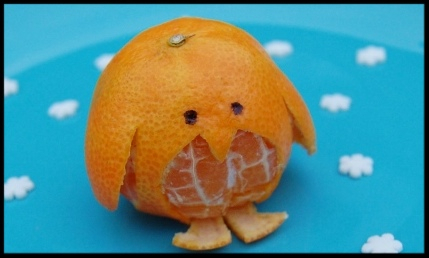 These satsuma penguins are such a winner – is there an easier way to make fruit fun? 9. 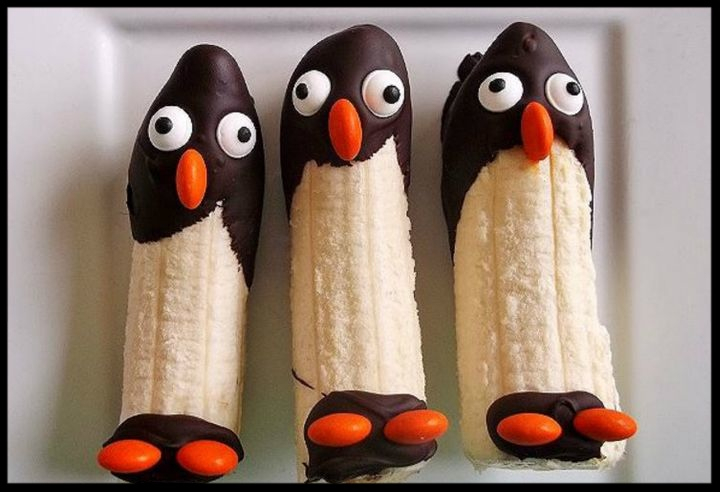 These penguins are a little bit naughty as they’re covered in chocolate…but they were too cute not include here! 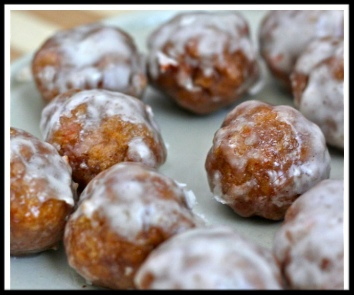 Maybe an after school treat? 11. 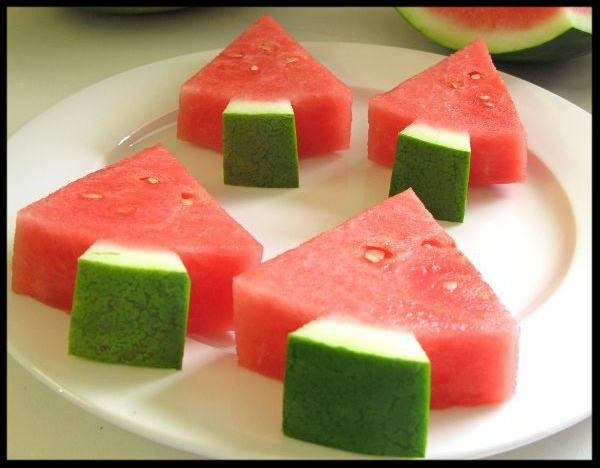 Funky Christmas Tree Watermelons! 12. Tis’ the season to eat veggies…Peppers disguised as christmas turkeys! 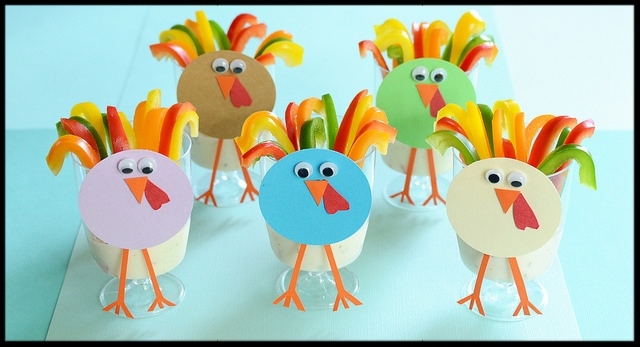 This one takes a little more effort to prepare – but you can make this an activity with your child, and reuse the turkey cups! 13. Everyone’s favourite Christmas Villain, the Grinch, as you’ve never seen him before! (aka in the form of a tortilla). 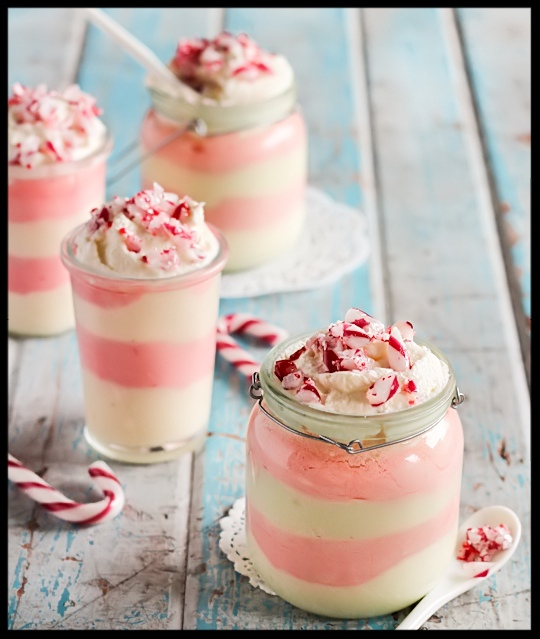 See below for the recipe! 14. 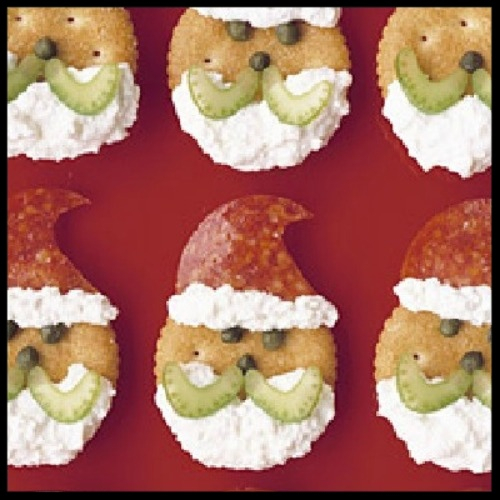 These Santa Crackers are great for a daytime snack or after-school treat – all you need is some cream cheese, salami and celery! 15. Again, a bit more effort required here, but the rewards look great! 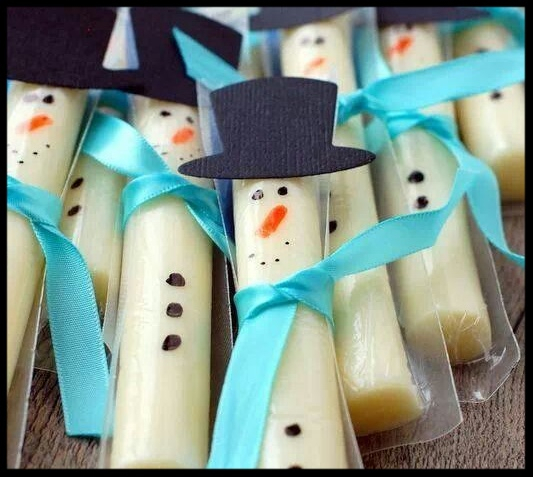 These cheese string snowmen are bound to be a hit with kids this Winter. 16. 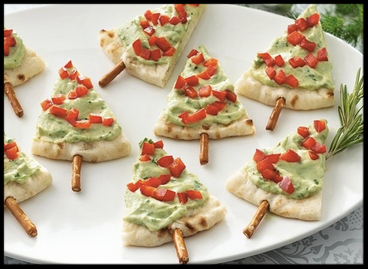 Pitta Christmas Trees are great way of sneaking some vegetables into your child’s lunchbox. Whether you make your own guacamole or buy from the store, both are healthy options! Add some chopped peppers for baubles and a breadstick of the trunk! 18. 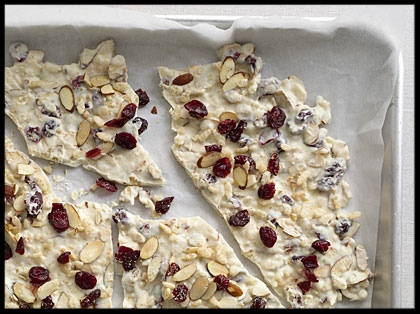 Every bite of this Healthy White Chocolate Holiday Bark is full of heart-healthy dried cranberries and almonds, which are strong antioxidants. 19. 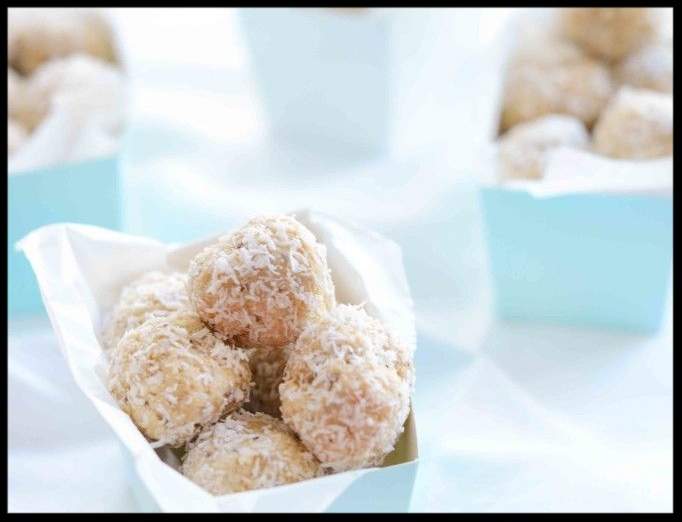 These carrot cake truffles are such a simple way to use up leftovers in the house, and you’d never be able to tell that they’re nutritious! 20. Another great opportunity to get the kids involved! 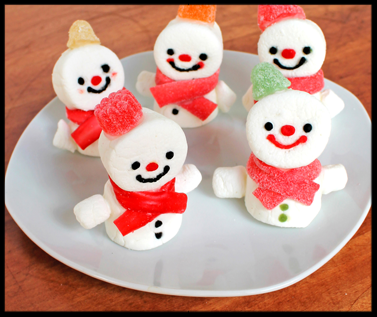 Your little ones will have just as much fun making these marshmallow snowmen cupcakes as they will eating them! 24. 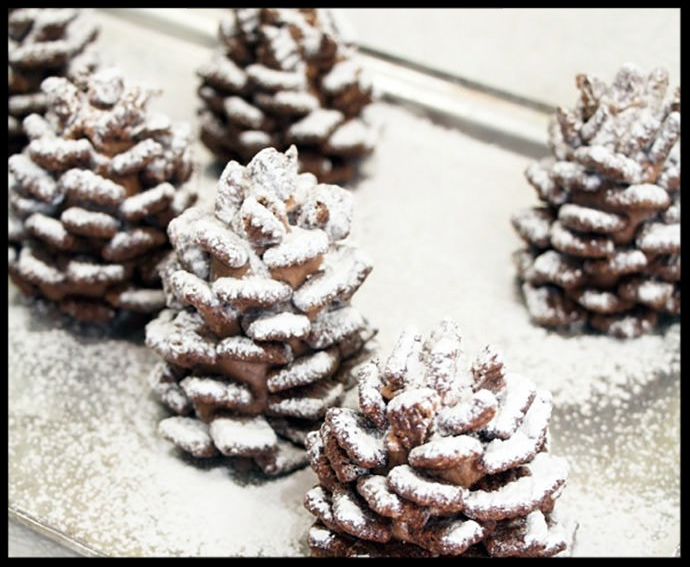 These tasty pinecones almost look real!